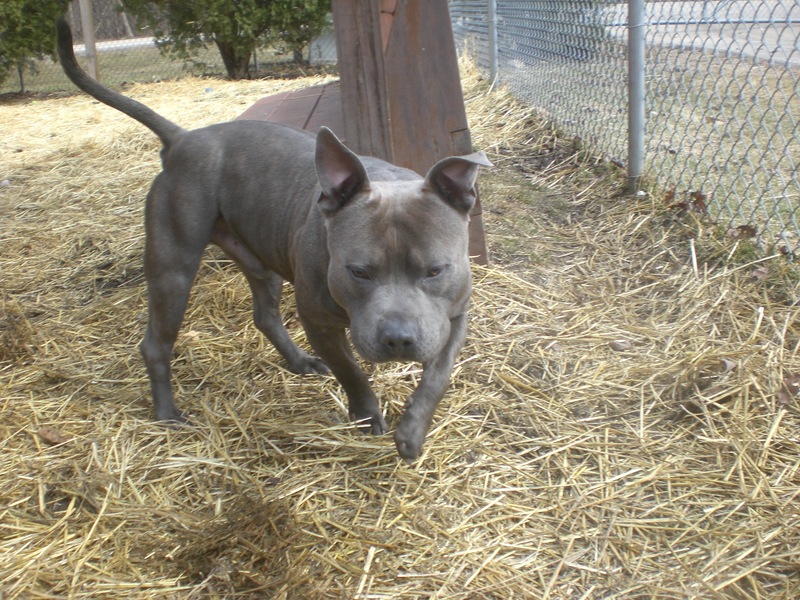 As much as all of us at Orphans of the Storm® love Yeager, we don’t want to see him back at the shelter! This is his last week of training at Tops Kennel, and if someone doesn’t adopt him soon, he’ll have to come back. Who wouldn’t want a fully trained dog who is lovable, affectionate, and has a constantly wagging tail? You even get one week of training FREE so you and Yeager can form a great bond right away. This smart, happy boy wants what all of the animals at Orphans of the Storm® want: a loving forever home. Let’s make sure he finds one soon! You can check out his latest video update here. And don’t forget–the Orphans of the Storm® annual benefit dinner is coming up in just a few short weeks! Monday, April 28 is the day, so mark your calendars and reserve your spot soon! 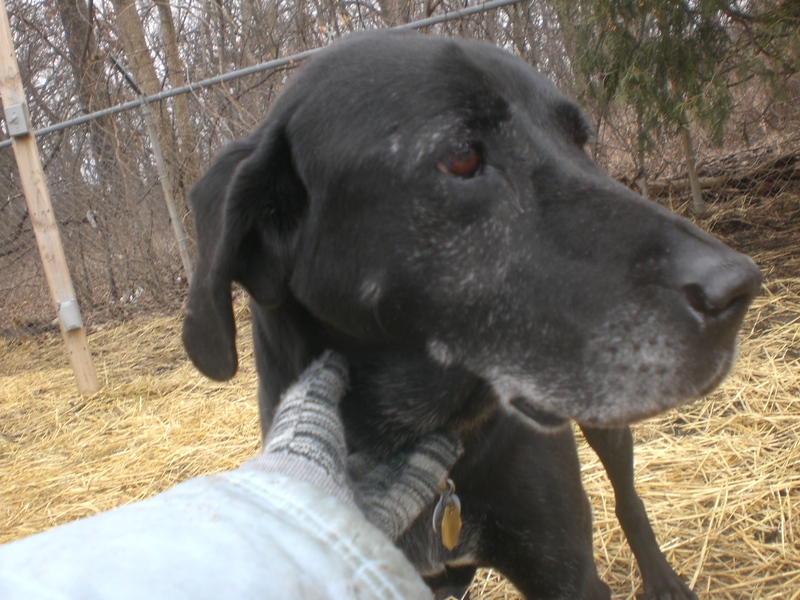 Maggie the seven-year-old black Labrador Retriever mix may have some gray fur on her face, but don’t let that fool you! Maggie still has plenty of pep in her step: she walked at a quick clip on our way to the off-leash run, and had a great time playing fetch once we got there. Maggie truly is a puppy at heart, and that makes her so much fun to spend time with! Maggie is one of the most affectionate dogs I’ve met at the shelter. If you love being on the receiving end of doggy kisses, Maggie will not disappoint you. She is all about being lovey-dovey, and her tail never stops wagging. Maggie would probably prefer to be the only dog in her new home, but with a pooch like Maggie, one is all you need! 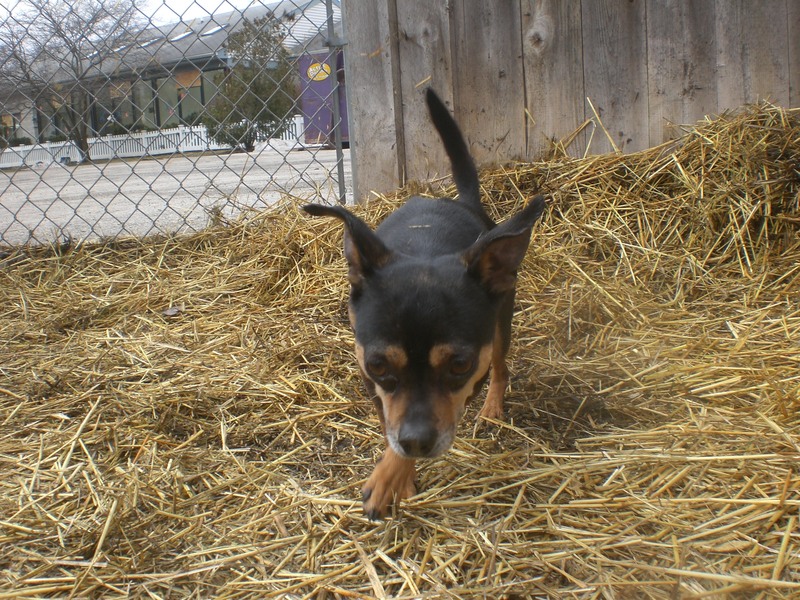 If you’re looking for a lovable, loyal companion, come in soon to meet Maggie! 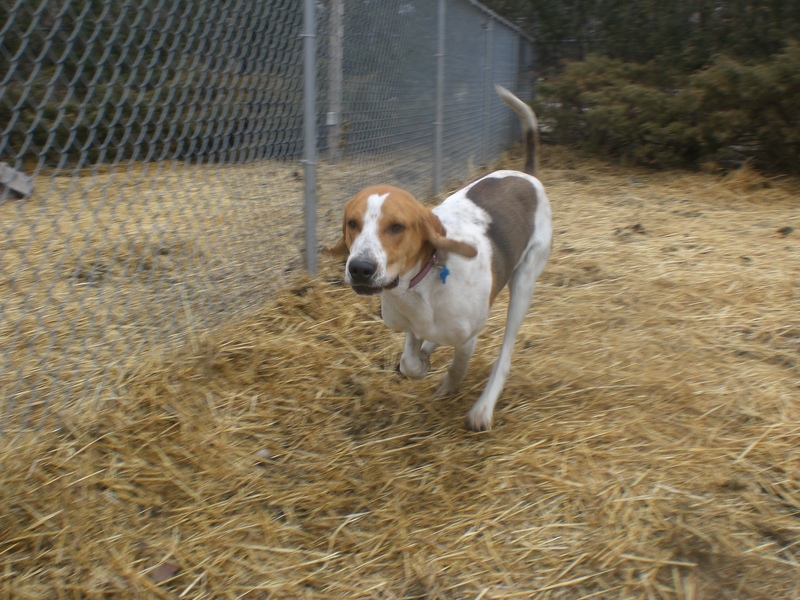 Jeff the one-year-old Treeing Walker Coonhound mix is full of energy. He had so much fun racing Molokai (who, for a 12-year-old, certainly can move!) in the off-leash run, and he likes to take the lead on walks–though, since he is a scent hound, he stops pretty regularly to smell interesting things in the grass. And he’s such a handsome boy! Jeff has an old injury in one of his front legs that makes it more comfortable for him to hold that paw up when he’s standing still, but I can assure you that it doesn’t slow him down in the slightest. This big guy will love spending plenty of time outside with his new family. Jeff also enjoys getting plenty of attention, including a good scratch behind the ears. 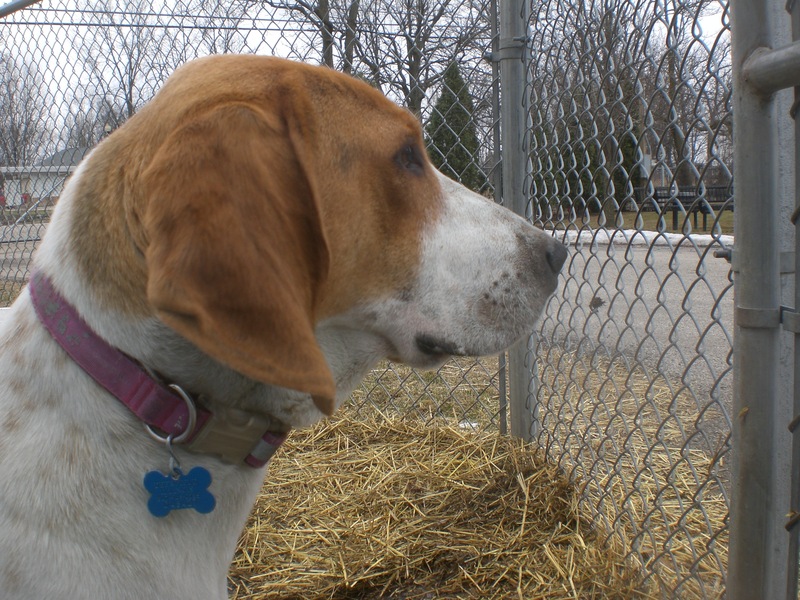 If you’ve been thinking about adding a hound to your household, stop by the shelter and say hi to Jeff! Rico the eight-year-old Chihuahua mix was pretty much brand-new to the shelter when I met him, so he was a little shy and unsure about his new surroundings. Luckily he has Gypsy for a kennelmate, so the two of them (who are practically twins) can snuggle up together while they both wait to find their new forever homes. Rico walked nicely on our way to the off-leash run, though he wasn’t so sure about the feeling of hay between his paws once we got there. 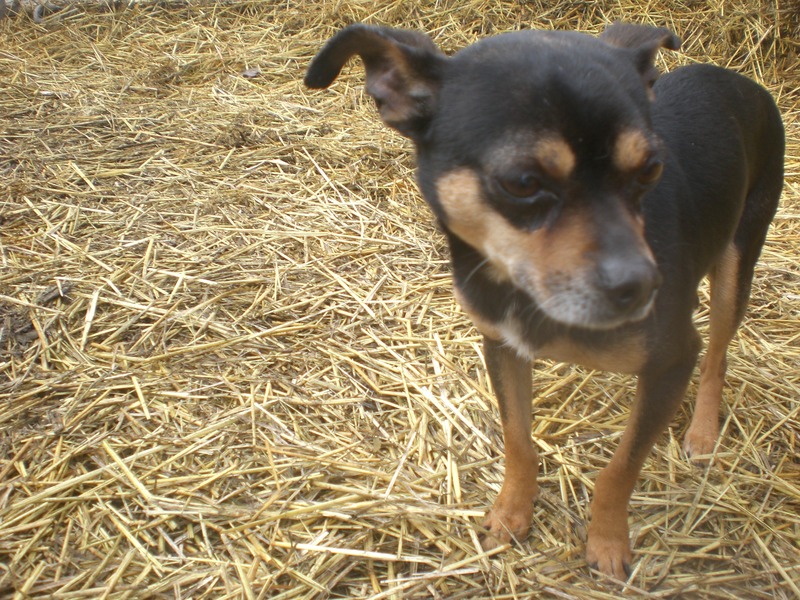 Since Rico is on the shy side, he likes having his own space in the beginning but will be sure to let you know when he feels comfortable with you. After just a few short minutes of us being in the run together, Rico came over and happily let me pet his back. When it was time to go back to his kennel, Rico instead wanted to jump into my lap. Once Rico knows you, he’ll be stuck to your side! If a lapdog is what you’re looking for, come in and see if Rico is the one for you! Rico is such a little cutie patootie! Blueberry the three-year-old Pit Bull Terrier mix is a big, strong boy–but he definitely has a snuggley side! Blueberry was more than ready for a chance to go out for a walk and led the way to the off-leash run, where he had a great time bounding through the new hay. 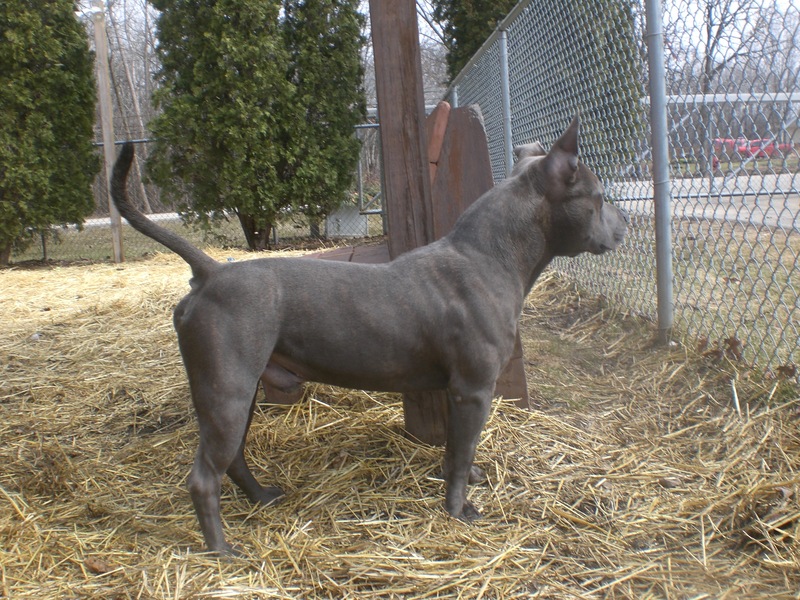 You’ll notice right away how Blueberry got his name: it goes perfectly with his beautiful blue fur! I just love Blueberry’s ears! Blueberry was very attentive to everything that was happening on the other side of the fence. He liked watching the other dogs and people walk by and wanted to be part of the action. Blueberry may look kind of tough at first glance, but you’ll soon see that he’s just a big goofball. I love those ears and that face! Big dogs like Blueberry have lots of love to offer, so come in soon to meet him! I also saw Emerald, Ebbie, Wilbur, Bella, Dezzie, Diamond, Javan, Molly, the other Molly, Rock, and Winter! A great group of dogs, if I may say so. 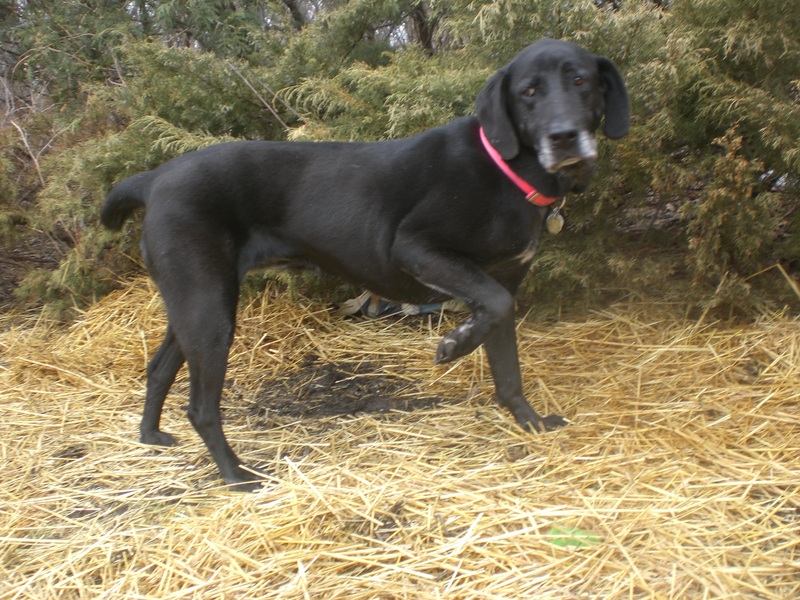 Posted by Meet the Pooches on April 3, 2014 in Dog Profiles and tagged adopt, animal shelter, animals, Chicago, Chihuahua, dogs, Labrador Retriever, Orphans of the Storm, pets, Pit Bull Terrier, Treeing Walker Coonhound.